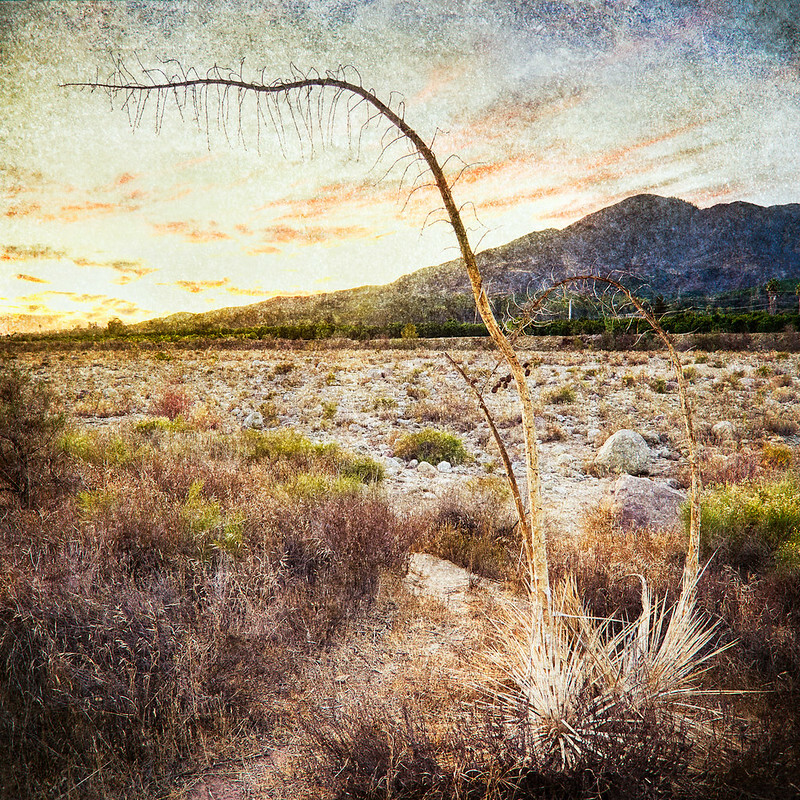 Yuccas by the Riverbed • Fillmore, CA 2013 A pair of dried yuccas by the Sespe River in Fillmore, CA. Sometime after sunset, the dry riverbed is in the background. Has a groovy textured effect applied to the image. 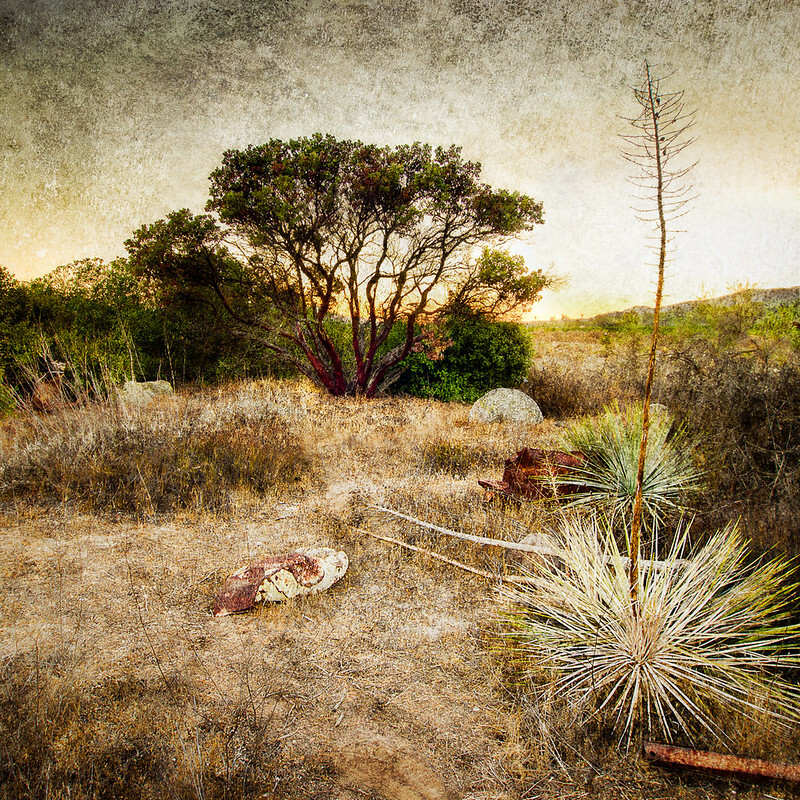 A pair of dried yuccas by the Sespe River in Fillmore, CA. Sometime after sunset, the dry riverbed is in the background. Has a groovy textured effect applied to the image. 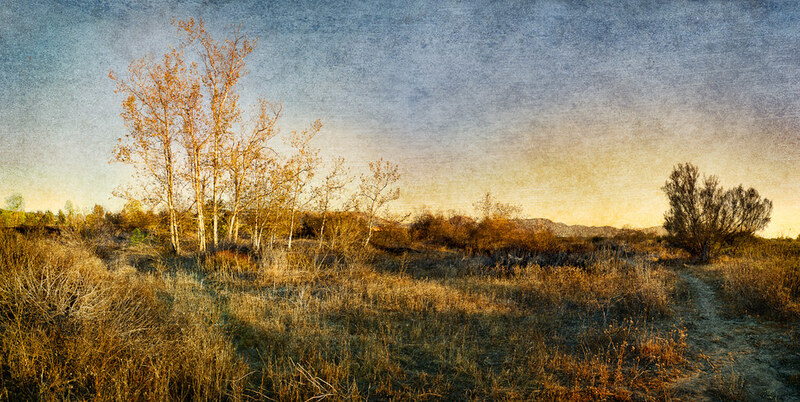 Sycamores by the Sespe By the Sespe River in Fillmore, CA. A copse of sycamores stands beside a small footpath on the riverbank. By the Sespe River in Fillmore, CA. A copse of sycamores stands beside a small footpath on the riverbank. Here’s a nice little image from the Sespe. I like the contrast between the two plants, and I like the way the color of the sky came out an ominous gray. I shot the original image shortly after sunset, and the sky was a sort of bluish gray to begin with. I stumble upon an area along the river bank where there seemed to be a lot of really old husks of cars strewn about. Perhaps it was a place where people dumped their trash a long time ago. Pretty exciting – I’ve cranked out 3 of these images in the last couple of weeks.